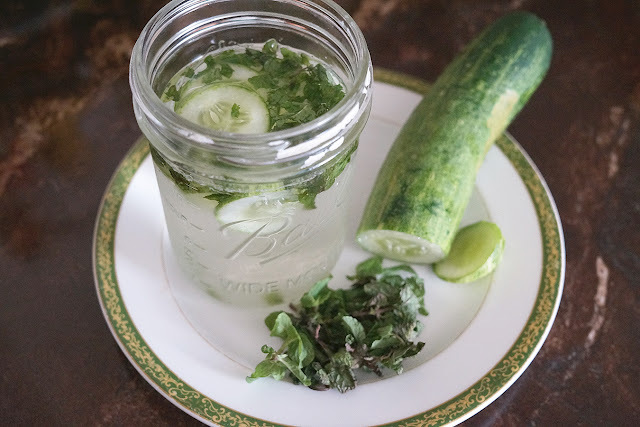 Cucumber Mint Water. 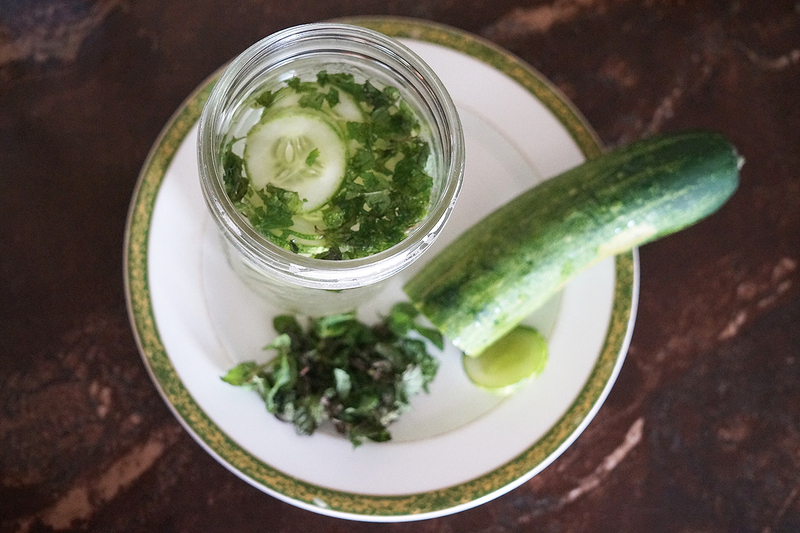 With the summer heat, there's nothing more refreshing than a pitcher full of homemade cucumber-mint water. This delightful drink cools and replenishes thirsty bodies. 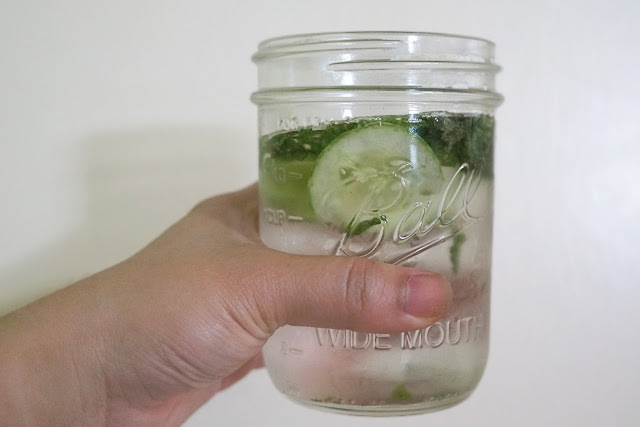 A glass of this easy to prepare super water helps reverse inflammation and reduce belly fat. 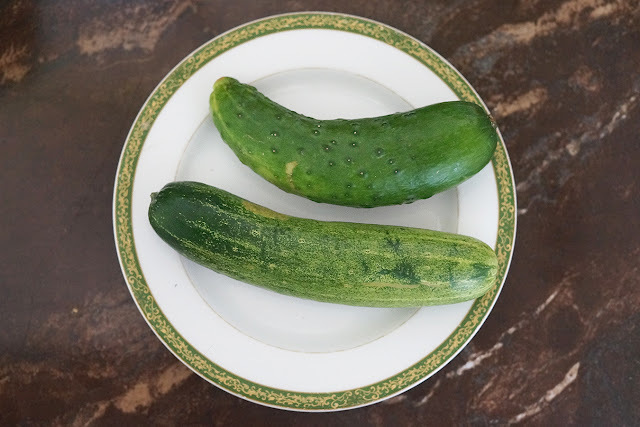 Cucumbers are rich in cancer-fighting antioxidants. They have been shown to inhibit the behavior of pro-inflammatory enzymes like COX-2. They are a great natural remedy for inflammatory ailments like arthritis and some heart conditions. Cucumbers rehydrate the body and replenish daily vitamins. 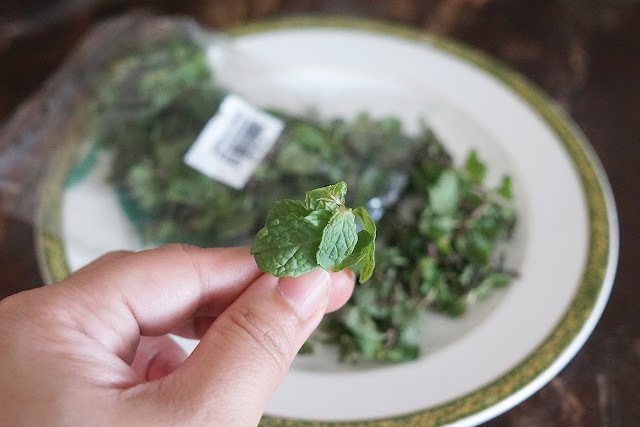 Peppermint (Mint) helps settle your stomach and aids in easing digestive problems. Studies have also shown that it can help stop colitis and irritable bowel syndrome. With these two ingredients combined, you get a powerhouse of soothing, refreshing energy. It's the perfect pick me up for days when you’ve seen a little too much heat or physical exertion. With regular consumption, this water mixture will help keep your weight down, fine tune your digestive system and maintain your skin's clear, fresh and radiant complexion. Wash and pat dry the peppermint leaves and cucumber. 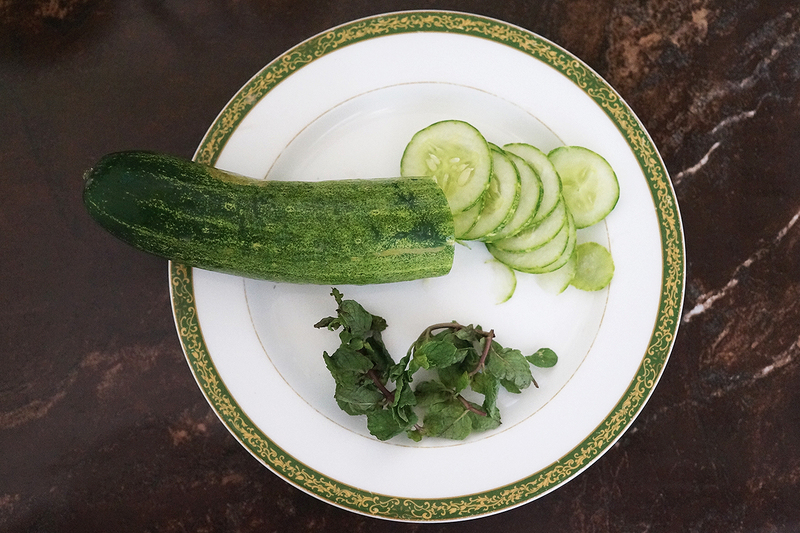 Thinly slice half (about 3 inches long) of fresh cucumber. Stir everything in a glass pitcher filled with clean water. Be sure to let the flavors infuse and leave on the refrigerator for at least four hours or overnight. If you want to drink this sooner, you can crush the mint leaves in the water and then refrigerate. You can drink it after an hour. This water infusion will keep in the fridge for several days but I doubt it'll last that long. 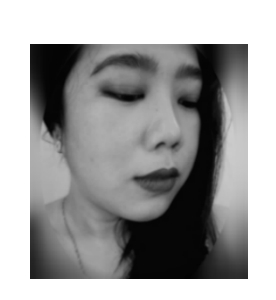 I prepare mine the night before. I drink the infused water the next day. This a great way to keep track of your water daily water intake and stay hydrated. I make it a point to drink one liter by mid-afternoon and another the rest of the day.